Whether you're looking for a way to save a copy of the photo you just edited in Instagram before posting it, want to bookmark another user's photo to come back to later or download a photo to your computer, figuring out exactly how to do it can be a bit tricky. Instagram has some helpful features that make downloading your own photos and bookmarking other users' photos easy, but it prevents you from being able to ultimately download just any user's photos the way you might by saving an image from a regular web page. There are some workarounds, which we'll get to later, but let's start with the most basic Instagram photo saving method for the photos you post on your own account. If you upload an existing photo to Instagram without using any of the in-app filter or editing features to make changes, you obviously already have a copy of it on your device. But for those who snap photos directly through the app or upload existing ones with Instagram filters and editing effects applied to them, saving a copy of the finished product that gets posted can be easily and automatically done by turning on one simple setting. On an iOS device navigate to your profile tab. Tap the three horizontal lines in the upper right corner. Tap the gear icon at the bottom to access your settings. If you're using an Android device, you may need to tap the three-line menu icon in the top right corner of the screen then select the Settings gear icon and then scroll down and select Original Posts. Tap Account, then Original Photos. Toggle Save Original Photos to turn it on so that it appears blue. As long as this setting is turned on, all of your posts will be copied automatically as you post them into a new photo album or folder labeled "Instagram" in your mobile device's photo album app. This goes for all posts including those that you snap through the Instagram app, those that you upload from your device with no changes made to them and those that you upload from your device with filter effects and editing effects applied to them. Instagram now has a saving feature built directly into the app. While it merely allows you to bookmark the photo or video post tab and not actually download anything to your device, it's still better than nothing. Until recently, the only way you could really bookmark a photo or video from another user within the Instagram app was by liking it and then accessing your previously liked posts from the settings tab. The saved image could potentially disappear if the user who posted it decides to delete it. Remember, using the bookmark feature is just a link to the photo — nothing gets saved to your account or your device. On the other hand, if you want to follow the comments on a popular post, you can save the post and return to it later to read new comments, which is at least one very helpful way to use it. The new Save tab appears as a little bookmark icon on every user's profile directly above the photo feed in the horizontal menu. You can't see the save tab on other users' profiles, but you can see it on your own profile while signed in. This is to ensure that only you can see what you've saved. If you've every tried to right click and Save As on an Instagram photo on your computer, or tried to do the equivalent on a mobile device by tapping and holding down on a photo while viewing it in a mobile web browser, you probably wondered why nothing pops up. Instagram may be fine with you saving copies of your own photos to your device or bookmarking them in the app because you own them, but it does not claim ownership of any content posted to the app, so it's up to you to get permission from other users if you want to use their content. This explains why it's so impossible to easily download just any photo. As mentioned in the beginning, however, there are some tricks to get around it. Just be aware that even though users do it all the time, it's against Instagram's terms if the owner doesn't know about it and hasn't given permission for it to be used by anyone else. Perhaps the easiest unofficial way to quickly save a a copy of someone's else's Instagram photo is to take a screenshot of it and then use a photo editing tool to crop it. This article show you how to take a screenshot on your iOS device or on your Android device. If you have access to a computer, you can save an Instagram photo by identifying the image file in the page source. Tap the three dots on any photo post in the Instagram app, then Copy Link, to copy the URL. You can then paste it into an email or iMessage to yourself. If you're already viewing Instagram from the desktop web, you can tap the three dots at the bottom of any post and then tap Go to post to view its post page. When you access the photo URL on the desktop web, just right click and select View Page Source to open a new tab with all the code. The image file ends in .jpg. You can use the keyword finder function by typing Ctrl+F or Cmd+F and entering .jpg in the search field. The first .jpg you find should be the image file. Using your cursor, highlight everything from https://instagram. to .jpg and copy it. Paste it into the URL field of your web browser and you'll see the image appear, which you'll be able to right click on and select Save As to save it to your computer. If you do some searching around, you may be able to find a third-party app that claims to allow you to save or download Instagram photos. 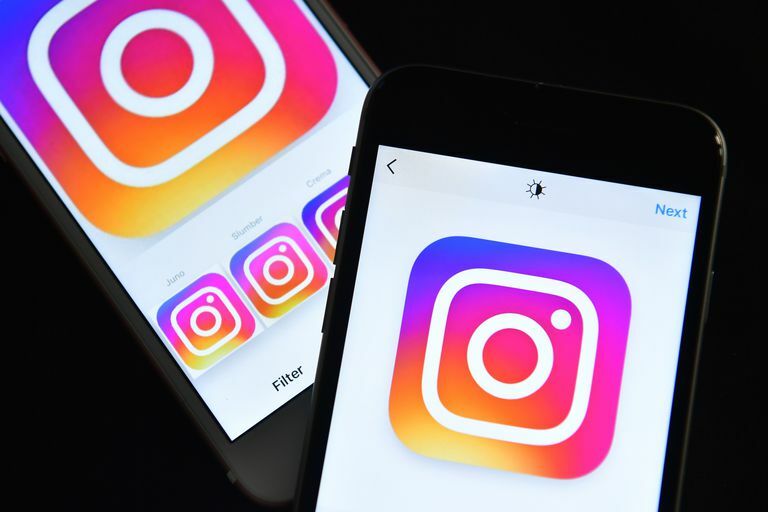 However, there's no guarantee that it will work just how you might expect it to given that Instagram reviews all requests for API access and rejects anything that permits users to interact too heavily with the app, or goes against their terms. In other words, you might have a seriously frustrating time trying to find any type of third-party app that actually allows you to seamlessly download posts, and anything you actually do decide to download could be kind of shady deal for your privacy and/or security. You're likely much better off by going with any of the other options presented above.